Moving can be a process fraught with stress in the best of times, but the cold winter weather can make the process even more stressful. However, help is at hand – we have put together some top tips to help you avoid the pitfalls of moving in winter. – Salt the path leading to your home so that the ADT moving team will not slip on your icy driveway or the driveway of the house you are moving into. If the weather is really bad, keep a shovel handy to clear away any snow. – Warm clothes: Keep aside some jumpers, scarves, gloves and hats to help keep your family warm on moving day. 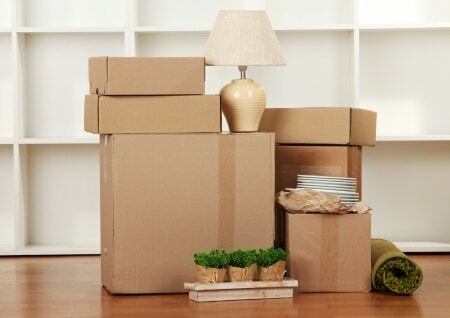 During the move, our movers will be going in and out of your home keeping your doors wide open. Switch off the heat – there is no point having the heating on, so your home will get cold very quickly. – Pets: the stress of moving can really affect your pets and make them feel nervous. Take dogs for a good walk beforehand if you are moving a long distance and make sure your pets are warm and have enough food and water for the journey. – Plants: Plants will not be able to survive for more than a few minutes in below zero outdoor temperature. ADT movers will wrap your plants in horticultural fleece and will load them last and unload them first at the new location. – Daytime: It gets dark early in the winter, so try to time your move so that you arrive at your new home before its dark outside. The key to a stress-free move is planning ahead, particularly in winter. A few simple precautions will make a big difference, helping you to settle into your new home as quickly as possible. ADT Moving and Storage is a Montreal based moving company. Give us a call or visit our website to learn about our long distance moving services. 1-888-903-6683.